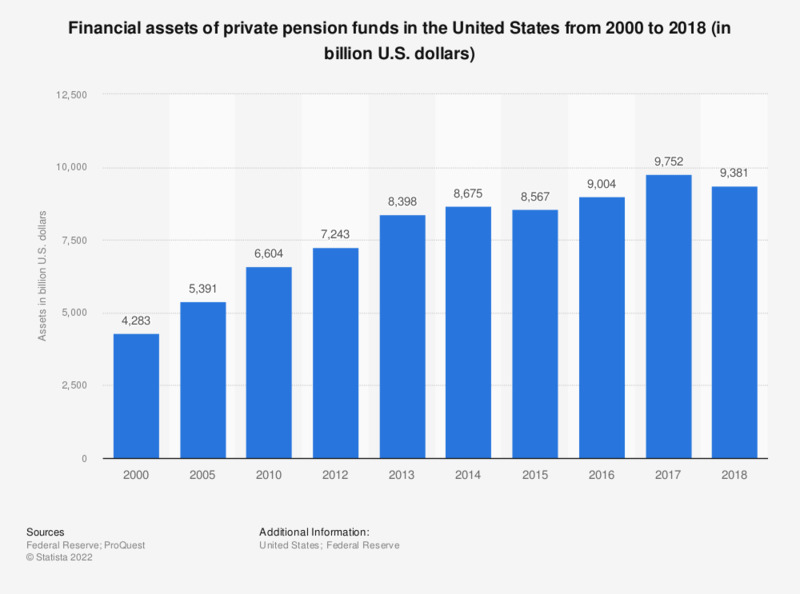 This statistic presents the financial assets of private pension funds in the United States from 2000 to 2017. In 2017, the private pension funds in the United States was approximately 9.5 trillion U.S. dollars. Everything On "Retirement assets worldwide" in One Document: Edited and Divided into Handy Chapters. Including Detailed References.